Gut health is paramount to overall health. This was known in ancient times. According to the 4th-century (BCE) Greek physician Hippocrates, “All disease begins in the gut.” And since our founding in 1988, we at Health Products Distributors, Inc. (HPDI) have recognized the importance of supporting a healthy microbiome through diet, lifestyle, and the use of probiotic supplements. We have written blog articles on developments regarding the microbiome, including “The Advantages of Soil Based Organisms for Health” (2014) and Dr. Hank’s short piece “A New View of the Role of Bacteria for Health” (2012). However, the scientific understanding of the microbiome continues making quantum leaps. Every month it seems there is another groundbreaking study reported, or fresh information about the human microbiome highlighting specific aspects of its fundamental role in human health. Gut health is paramount for good health. For example, studies showing the microbiome’s significance for brain function, digestive tract health, leaky gut, immune system function, and lifelong health. And even more, studies revealing potential connections between microbiome status and conditions involving the gut-brain axis, such as gluten sensitivity, celiac disease, ADHD, autism, depression, Parkinson’s disease, and Alzheimer’s disease. As exciting as the studies are on a theoretical level, one of the main benefits is that many of them point to practical applications and suggestions that can be implemented on a daily basis by individuals wishing to improve microbiome health and vitality. Information about means you can take to improve microbiome health is increasingly available not only in the scientific literature (which can be searched for in places like PubMed), but also in the popular media. For example, books like Dr. David Perlmutter’s Brain Maker: The Power of Gut Microbes to Heal and Protect Your Brain for Life (2015) include dietary recommendations and recipes. In addition, there are numerous books and online resources for making your own cultured foods (everything from kombucha tea to fermented condiments), as I will talk about more below. 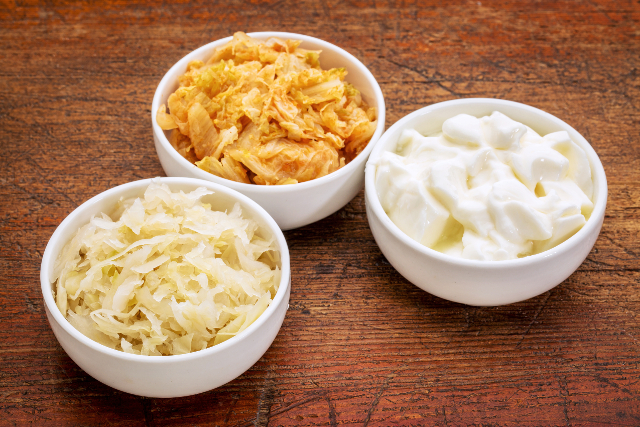 Fermented foods like sauerkraut, kimchi and yogurt provide beneficial bacteria. Increasingly, individuals are speaking with their nutritionist or doctor on this topic, as knowledge of the important role of foods and nutrition in supporting a healthy microbiome. While at the ACAM (American College for Advancement in Medicine) annual meeting in Las Vegas in November, I attended a presentation by Raphael Kellman, MD. He discussed the importance of the microbiome for supporting health, and the positive effects related to maintaining populations of beneficial flora, including the fact that probiotics can support positive emotions. I present a few recommendations for supporting and improving microbiome health through lifestyle, dietary choices, and the use of probiotic supplements. Dietary choices are among the simplest, yet most effective means for effecting improvement in the human microbiome. Here are some dietary recommendations that are known to work. Consume Foods High in Probiotics, including Fermented Foods. Foods high in probiotics include yogurt, kefir, sauerkraut, kim chee, tempeh, pickles and other pickled vegetables, and kombucha tea. Probiotic foods provide you directly with good-for-you bacteria that help keep your microbiome diverse and well balanced. Historically, many of the most important bacteria for gut health are lactobacteria and bifidobacteria. Some of the most well-recognized strains of these types include L. acidophilus, B. longum, B. bifidum, L. fermentum, and L. rhamnosus. Notably, studies indicate reduced levels of lactobacteria and bifidobacteria in depressed individuals. While these two types of bacteria are perhaps the most studied and well-known, there are hundreds or thousands of different types of beneficial bacteria in the human microbiome. I will talk more about some of them when I discuss soil-based organisms. Source probiotic foods that are organic, biodynamic, garden grown, and free-range / pasture-raised (e.g., dairy products). For pickles and relishes should preferably be unpasteurized and fermented in brine. Consume Prebiotic Foods. It is important to consume foods that provide non-digestible short-chain fatty acids (SCFA) that support a flourishing good-for-you microbial community. 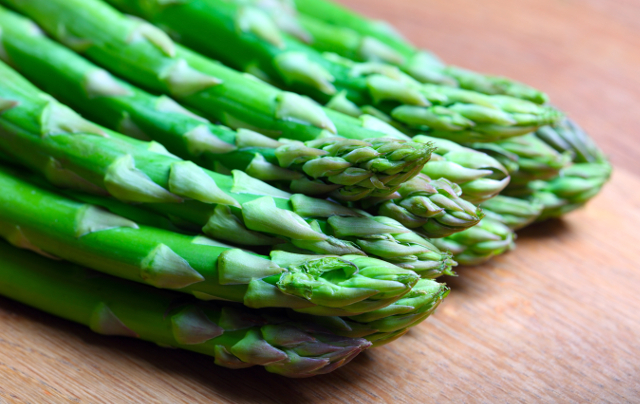 Prebiotic foods include onions, garlic, asparagus, radishes, beans, oats. Many prebiotic foods contain relatively high amounts of inulin, which is a soluble dietary fiber and a naturally occurring oligosaccharide. Inulin belongs to a class of carbohydrates called fructans. Inulin selectively feeds beneficial bacteria. Major inulin-containing foods include Jersusalem artichoke (sunchokes), bananas, leeks, beets, and certain herbs. Chicory root, elecampane root, and dandelion root are especially high in inulin. The fermentation of indigestible complex carbohydrates like inulin (and other natural dietary fibers) in the digestive tract results in the production of short-chain fatty acids that feed beneficial microbiota. Asparagus contains the prebiotic inulin. The three primary short chain fatty acids created by gut bacteria are acetic, butryic, and propionic acids. These fatty acids are excreted or absorbed by the colon and used for energy by cells. For example, butyric acid provides fuel for cells lining the colon and is associated with positive benefits. Because different bacterial species produce different fatty acids, the ratio of the different species is important for health. In particular, butyric acid is associated with positive health benefits. In contrast, clostridial species produce proprionic acid (PPA), which is too high quantities is known to exert adverse effects in the body, including the brain. Interestingly, studies show that autistic individuals harbor more clostridial species some of which are remarkably absent in normal populations. At least one comparative study showed the the microbiomes of urban, Western populations (consuming more refined foods) produce relatively high levels of proprionic acid whereas the microbiomes found in rural, non-western populations (consuming more dietary fiber) produce more butyric acid. 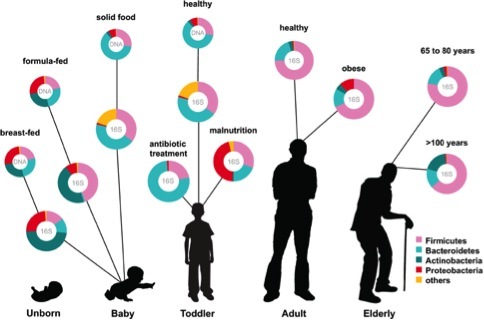 Other studies indicate that the microbiome of rural populations predominantly contains bacteroides type flora (associated with lean body mass) and urban populations contain primarily firmicutes (associated with obesity when predominant). Consume vegetables, including leafy green vegetables: Diets that include relatively high amounts of greens are beneficial for feeding a diverse and healthy microbial community. This is not only because of high-nutrient density and dietary fiber, but also due to the beneficial bacteria naturally present in these foods. Reduce intake of sugars, especially refined sugars and high-fructose corn syrup. Natural sugars in fruits and vegetables are generally better to consume because they are ingested along with dietary fiber as part of the whole food. Refined sugars and especially high-fructose corn syrup (HFCS) test the body’s capacity for dealing with sugar, stress the body, prematurely age cells (via glycation processes), and promote adverse changes that can ultimately lead to diabetes. Avoid foods containing antibiotics. Antibiotics in foods damage the microbiome by killing bacteria (including beneficial bacteria), reducing microbial diversity, and leaving the microbiome vulnerable to hostile takeover. Thus, consume only free-range, antiobiotic-free meats, eggs, and poultry. Avoid factory farmed meats and farmed fish. Avoid simple carbohydrates. Like refined sugars, refined carbohydrates and grain products are notorious culprits for producing an imbalanced microbiome. So, avoid overconsuming processed grains, especially those containing wheat. Avoid gluten. Wheat and the gluten it contains has been implicated in adverse conditions for the microbiome. Yet, wheat isn’t the only food containing gluten. While this may sound like advice given only for celiacs or IBS patients, the picture emerging regarding gluten is that it is associated with adverse changes in the microbiome. Similarly, adverse changes in the microbiome are associated with the development of gluten sensitivity and celiac disease. 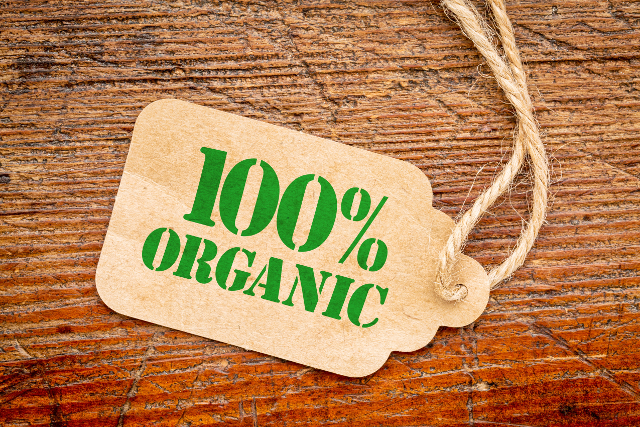 Organic and biodynamic foods support a healthy microbiome. Avoid genetically modified foods (GMOs). The consensus is emerging that genetically modified (or genetically engineered) foods contribute to problems in the microbiome. Herbicides used on GMO crops, such as glyphosate, harm the microbiome and contribute to states of depleted nutrition. Avoid artificial sweeteners. As bad as refined sugars are for the microbiome, artificial sweeteners can be just as bad or worse. Beyond the fact that artificial sweeteners tend to be toxic, they are known to produce adverse changes in the microbiome. Choose organic, biodynamic, pesticide-free, and garden-raised. Regarding food choices, do your best to obtain naturally grown foods and to avoid agricultural chemicals. Avoid Antibiotics. Whenever possible, avoid taking antibiotics. These can destroy the balance in your microbiome. Avoid antimicrobial products. These include soaps (containing triclosan and other chemicals), antimicrobial coatings (like Microban), and antibacterial substances. Avoid chemicals that affect your microbiome. For example, avoid products and foods with synthetic, toxic preservatives. Drink filtered water (i.e., non-chlorinated water). Get Dirty. Try gardening, spend time outdoors, or just be in nature more often. 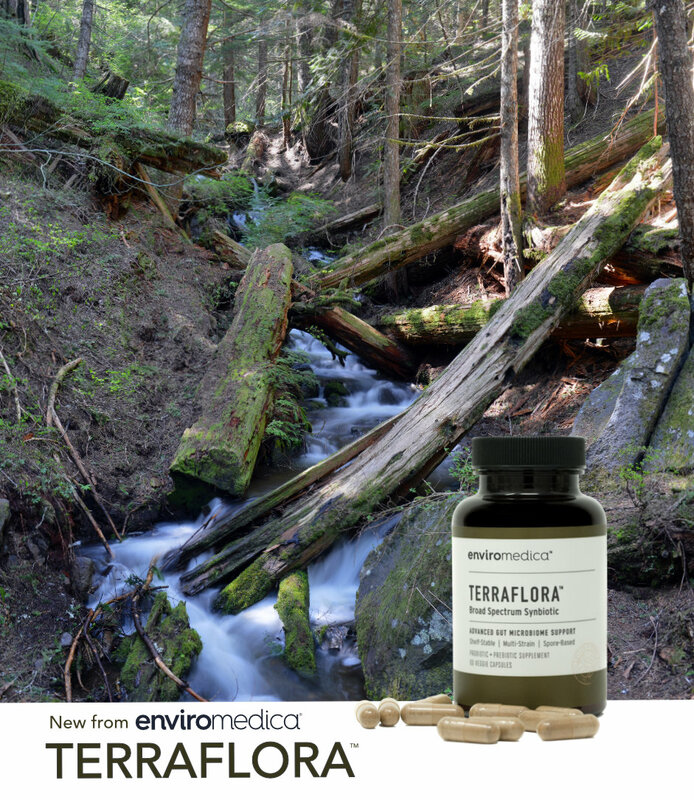 Unpolluted soils are an excellent source of natural microbes needed to keep you microbiome in balance. In addition to consuming probiotic and prebiotic foods, it can be helpful to take a probiotic supplement. Many of the probiotic supplements on the market provide a full complement of lactobacteria and/or bifidobacteria (often in the same formula). 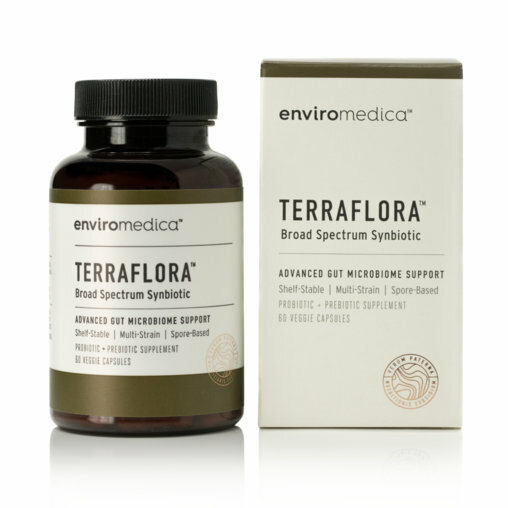 It is especially useful to take probiotic supplements after exposure to antibiotics. However, probiotic supplements can offer be an effective adjunct to a probiotic (and prebiotic) friendly diet. More recently, soil based organisms have garnered attention as important constituents of a healthy microbiome. These differ from lactobacteria, and in many ways are hardier and easier to get into the gut where they can thrive. It is also known that fulvic and humic acids act as prebiotics feeding microbes found in soils (soil based organisms) that support human health. WHAT ARE SOIL BASED ORGANISMS (SBO)? There are thousands of different types of bacteria found naturally in soils. These bacteria in soil and dirt historically performed many beneficial functions for us. It appears they help our bodies regulate immunity, and protect us from bacterial and fungal overgrowths in our intestinal tracts. Up until 100 years ago (or less for some people), soil based organisms were an everyday part of the diet. Not that long ago, our country was comprised mostly of farmers. Agriculture was more about getting dirty than about efficient machinery and chemicals inputs (i.e., industrial agriculture). At that time, almost everyone would have consumed soil based organisms on vegetables and other foods from the fields, gardens, and orchards. Today due to lack of exposure to soil based organisms resulting from modern food processing systems and the extensive use of pesticides that destroy the organisms, the average person has a very different composition of intestinal flora from their ancestors. There are far fewer soil based organisms, and more lactic acid bacteria. In addition, the use of antibiotics for young children has further swayed the balance away from these beneficial bacteria. Healthy soils host soil based organisms. Foods grown traditionally without the use of synthetic herbicides and fertilizer provide high levels of SBOs naturally. With a dramatic rise in research into the benefits of soil based organisms, new products have been developed that help us reintroduce them into our intestinal tracts. 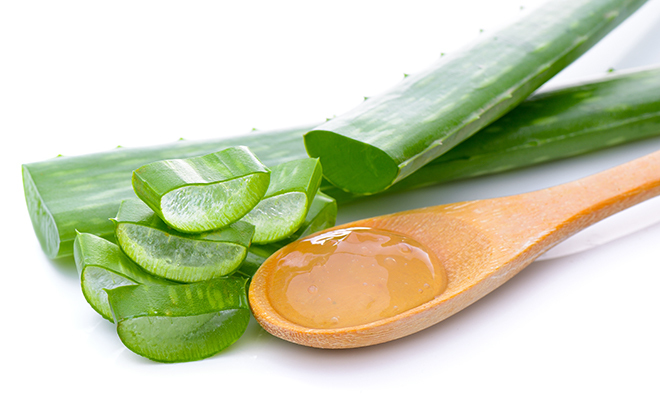 There they offer many benefits, including improving digestion, boosting immunity, and supporting overall good health in the intestines (with such benefits as reduced bloating, flatulence, and constipation). And for example, certain soil based organisms are known to secrete proteins activating the immune system, as well as stimulating the production of white blood cells and antibodies. Most people today either take or are aware of the benefits of probiotics containing lactic acid-based bacteria. These include commonly known strains of lactobacilli and bifidobacteria. Lactic-acid bacteria certainly are beneficial. There is a large body of research showing their high value for supporting digestion, immunity, and many other benefits. But they do have certain limitations. Many of the lactic acid bacteria in probiotic formulas have difficulty making it through the stomach’s acidic environment. Thus, the bacteria arrive in the small intestine in vastly reduced numbers compared to the amount that must be consumed. Nutritionists therefore usually recommend taking probiotics with a large number of “colony forming units” (CFU) in order to ensure viability of the bacteria. In addition, the benefits conferred by taking lactic acid bacteria may depend upon continuing usage. That is, certain studies indicate the benefits of these bacteria are greatly reduced after usage ends. Soil based organisms offer several advantages compared to lactic-acid bacteria. First, they are extremely hardy and better able to withstand the acidic environment in the stomach. They are in fact, “endospore-forming” bacteria that surround themselves in a hard exterior that travels more effectively through the intestinal tract. This means soil based organisms are far more likely to arrive intact in the small intestines (where they need to be) than lactobacteria. It also means that products containing soil-based organisms can provide fewer colony forming units and still be effective. That is, probiotic supplements with soil based organisms are more efficient at getting CFUs into the small intestines. 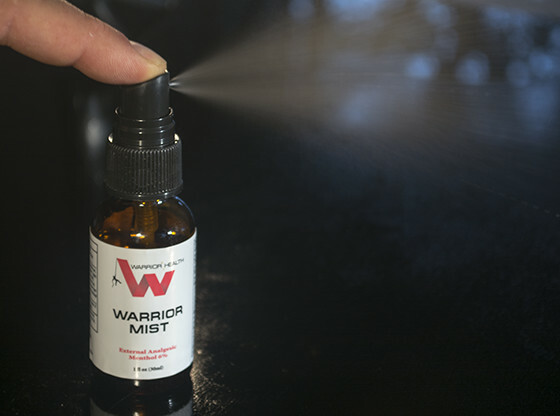 It also eliminates or reduces the need for special coatings, manufacturing processes, or “delivery systems” that must be created as a means to improve delivery rates of lactic acid bacteria. Soil based organisms have also been shown to colonize the gut more effectively than lactic-acid bacteria. This may partially relate to the fact that they are hardier and make it to the small intestines in greater numbers. A major benefit is that this characteristic of SBOs may allow a reduction is dosage onto a “maintenance” level sooner without concerns that benefits of probiotic supplementation will disappear. We at Health Products Distributors, Inc. researched various products containing soil based organisms. 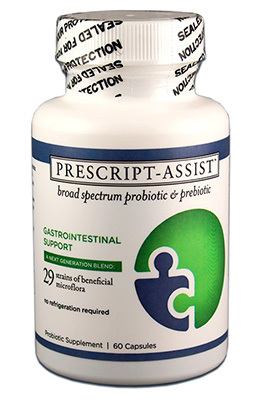 We choose to carry Prescript-Assist™, which is an effective and well-regarded broad spectrum probiotic and prebiotic formula. Prescript-Assist™ provides 29 naturally resilient strains that support your body’s natural intestinal balance. Having so many strains means that this formula better reflects the great microbial diversity of the intestines versus typical probiotic products. In fact, more than 1,000 different species of microbes inhabit the human gut. 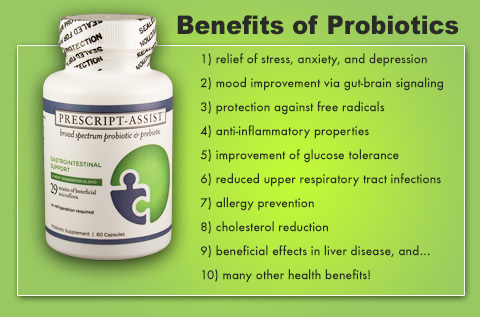 Prescript-Assist™ includes Bacillus subtilis, which is a well-proven probiotic species found in traditional foods. Arthrobacter agilis, Arthrobacter citreus, Arthrobacter globiformis, Arthrobacter luteus, Arthrobacter simplex, Acinetobacter calcoaceticus, Azotobacter chroococcum, Azotobacter paspali, Azospirillum brasiliense, Azospirillum lipoferum, Bacillus brevis, Bacillus marcerans, Bacillus pumilus, Bacillus polymyxa, Bacillus subtilis, Bacteroides lipolyticum, Bacteriodes succinogenes, Brevibacterium lipolyticum, Brevibacterium stationis, Kurthia zopfii, Myrothecium verrucaria, Pseudomonas calcis, Pseudomonas dentrificans, Pseudomonas fluorescens, Pseudomonas glathei, Phanerochaete chrysosporium, Streptomyces fradiae, Streptomyces cellulosae, Streptomyces griseoflavus. The number and types of species found in the gastrointestinal (GI) tract can be a major difference between a well functioning digestive system and immune system, and those less than optimally functional. In scientific studies, individuals exhibiting higher levels of gastrointestinal distress and gut irregularities have been found to have a correspondingly lower variety of beneficial bacteria in the intestines. Prescript-Assist™ is a clinically proven probiotic supplement designed to ensure maximum viability of the many organisms it provides. The formula offers inherent viability because the species it provides are naturally adapted for survival in the human gastrointestinal tract. That is, these 29 species are environmentally based (SBO) species drawn from the terrestrial microbiome where they have prospered and adapted for millenia to beneficially coexist with humans. 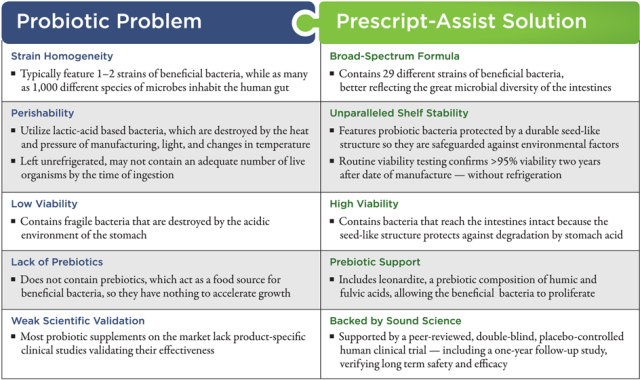 Unlike conventional Lactobacillus and Bifidobacterium probiotics, the strains in Prescript-Assist are a balanced formulation of a new generation of probiotics, capable of forming a protective shield until reaching the probiotic-friendly environment of the intestines. 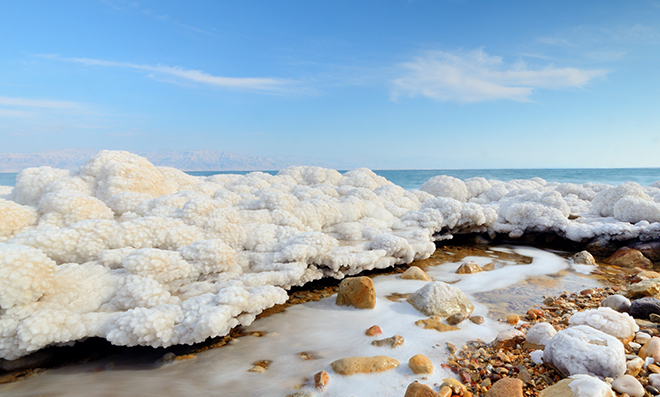 These organisms are resistant to acid, bile, and heat. In fact, routine testing of Prescript-Assist confirms it has a 95% viability two years after date of manufacture. The inherent viability of the soil based organisms in Prescript-Assist means there are no requirements for nano-encapsulation or hard-shelled enteric-coated capsules, which both are essentially attempts to force viability of probiotic species rather than utilizing hardy strains naturally preadapted to our bodies. Typical probiotic formulas therefore contain the relatively low-viability lactic acid bacteria that must be protected by technologies (e.g., microencapsulation) due to their inherent fragility. These fragile bacteria have a difficult time surviving because they are readily destroyed within the acidic environment of the stomach. Although patented enteric coatings can help survival rates, the provision of high-viabiltiy organisms that reach the intestines intact due to the inherent strength of their natural spore structure makes more sense as a means to protect against degradation in the stomach and intestinal tract. Prescript-Assist™ provides bacteria that reach the intestines intact due to the fact that the spore structure protects against degradation or destruction by stomach acids. Science has shown that a baby’s exposure to maternal bacterial cultures during natural birth help it to form a healthy, disease-resistant bacterial defense. 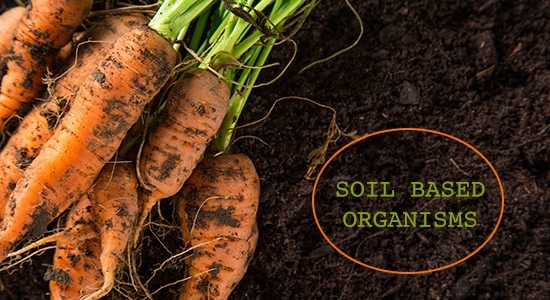 Likewise, the environmental and soil-based bacteria commonly found in foods grown in fertile organic soils assist in growing and maintaining a healthy makeup of internal flora in humans. This is the basis of SBO (soil based organism) probiotics like Prescript-Assist.™ SBO probiotics have risen in recognition recently as clinical evidence grows to support their effectiveness. Species from the Bacillus genus, a gut-adapted spore-forming bacteria found in Prescript-Assist, have been demonstrated safe and effective in in vitro and in vivo studies (see Resources section below). Among brands of SBO probiotics, Prescript-Assist offers the greatest diversity of species. It is the diversity and the resilience of the Prescript-Assist formulation that accounts for its proven success in peer-reviewed, published clinical trials. The Human Microbiome Project (NIH-funded five-years research study by a consortium of nearly 80 universities and institutions) confirmed that the number of microbial species found in the human intestines numbers in the thousands rather than hundreds. 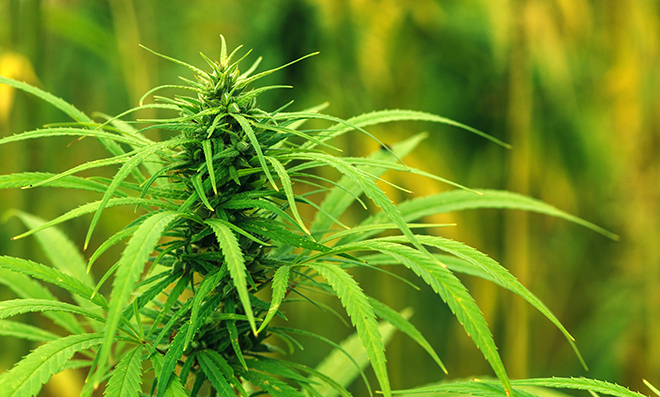 Just as importantly, the project results showed that the distribution of a variety of strains capable of performing similar tasks is more important than the individual species themselves. This information underscores the importance of broad spectrum diversity, and therefore the role that can be played by multi-strain probiotic complexes, such as Prescript-Assist. Soil based organisms in the human microbiome change during the life cycle. With its balanced formulation of 29 beneficial strains selected to mimic the natural flora found in traditional and paleolithic diets, Prescript-Assist is the only professional-grade probiotic to contain 29 species, 12 different genera, and all four of the most common phyla found in the human digestive tract, including Firmicutes, Bacteroidetes, Actinobacteria, and Proteobacteria. 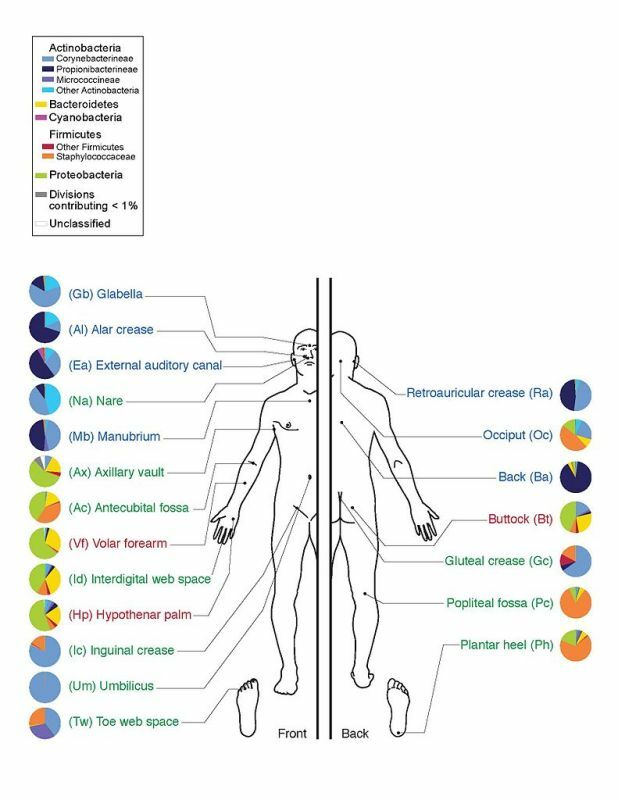 Prevalence on skin sites of different types of bacteria, including soil based organisms. Prescript-Assist offers exceptional shelf stability. It is well known that conventional probiotics (i.e., lactic acid bacteria) are readily damaged, degraded, and destroyed by heat and pressure during the manufacturing process. They are also degraded by exposure to light and by temperature changes. Because they lack shelf stability, if they are not kept refrigerated, they often cannot provide a sufficient quantity of organisms by the time of ingestion. In contrast, Prescript-Assist features probiotic bacteria protected by a durable seed-like structure, so that they are better safeguarded against environmental factors, including heat, pressure, light, or temperature variability. Indeed, testing confirms that the probiotic bacteria in Prescript-Assist remain 95% viable two years after their date of manufacture without any need for refrigeration. Most probiotic formulas do not contain any prebiotics, which are a food source for bacteria, and help accelerate their growth. Prescript-Assist uniquely contains Leonardite, which is a prebiotic mixture of humic and fulvic acids, which allows the beneficial bacteria to proliferate and thrive. Fulvic and humic acids belong to a group of organic substances called humic substances. These are dark brown constituents of humus found in soil that contribute to the character of soil, and are precursors to fossil fuels. They are also found in peat, coal upland streams, dystrophic lakes, and ocean water. 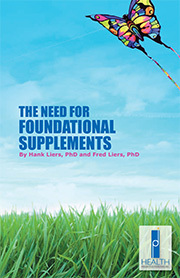 Both humic acid and fulvic acid are excellent chelators and powerful antioxidants. Humic acid is normally found in the form of “humate” (the salt of humic acid), i.e., humic acid bound to a nutritional mineral element. Fulvic acid is normally found in the form of ‘fulvate’ (the salt of fulvic acid), i.e., fulvic acid bound to a nutritional mineral element. A substantial fraction of the mass of the humic acids is in carboxylic acid functional groups, which endow these molecules with the ability to chelate (bind) positively charged multivalent ions (Mg2+, Ca2+, Fe2+, Fe3+, most other “trace elements” of value to plants, as well as other ions that have no positive biological role, such as Cd2+ and Pb2+). This chelation of ions is probably the most important role of humic acids with respect to living systems. By chelating the ions, they facilitate the uptake of these ions by several mechanisms, one of which is preventing their precipitation, another appears to be a direct and positive influence on their bioavailability. Humic acid and fulvic acid have been the subject of many years of scientific study not only because of their role in soil and plant biology, but also with respect to their chelation capabilities. 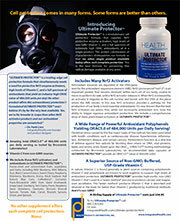 That is, for their proven capacities in removing heavy metals from the human body. Humic and fulvic acids bind only with double valency positive cations, i.e., nutritional elements and/or heavy metal ions. It is likely that a heavy metal ion will displace a lighter, nutritional metal ion and bind with the humate or fulvate. Many health care practitioners recommend fulvic acid as an electrolyte (to increase cellular electrical efficiency) and supplement to take in combination with trace mineral supplements in order to assist in their uptake by the body. Fulvic acid bonds with these minerals. Because it is a small molecule and therefore easily able to pass through cell membranes, it allows delivery of the minerals efficiently into cells. Most products are based on processed humate, taken from high quality soil sources, containing large amounts of nutritional cations already bound into the matrix. They are therefore not likely to deplete an individual’s mineral levels. As fulvic acid/fulvate is the smaller molecule, it is more easily absorbed into the cells. 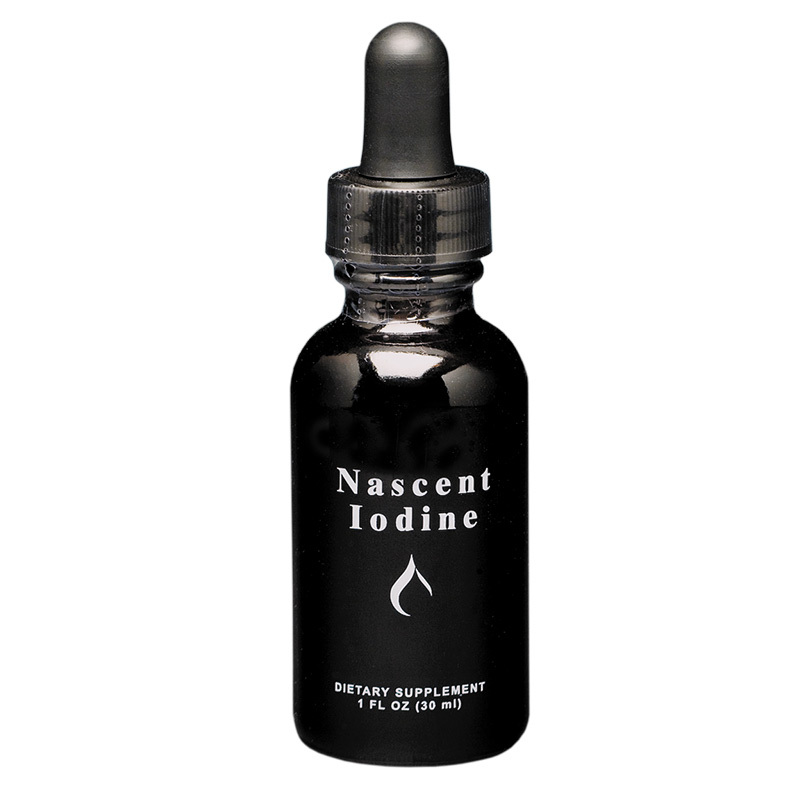 It is regarded as an excellent method of delivery for trace elements and nutrients into the body, as well as being an excellent chelator. Humic acids can form a protective film on the mucuous epithelium of the gastrointestinal tract against infections and toxins. The macrocolloidal structure of humic acids ensures a good shielding on the mucous membrane of the stomach and gut, the peripheral capillaries, and damaged mucosal cells. As a result of this process, the resorption of toxic metabolites is reduced or fully prevented, especially after infections, in case of residues of harmful substances in foods. Furthermore, humic acids help to prevent excessive loss of water via the intestine. Humic acids can influence the metabolism of proteins and carbonhydrates of microbes by catalytic means. 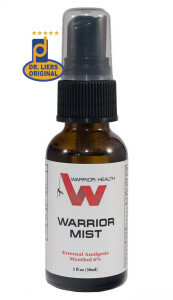 This leads to a directly damaging effect against bacteria or viruses. A second mechanism is related to the interionic bonds of high-molecular protein fractions (toxins) of infectious microbes. Their toxic impact on physiological processes of mucous membrane cells can be weakened considerably or even completely blocked. Dermal, oral, or subcutaneous application of humic acids leads to inhibitory effects on inflammation. The ability to inhibit inflammation is considered to be related with the flavonoid groups contained in humic acids. As high-molecular humic acids remain in the gastrointestinal tract almost entirely following the enteral application (there is no self-resorption), antiresorptive and adsorptive effects take place where they are needed—in the digestive tract. Primarily cationoid noxes (protein toxins, toxic substances) are fixed, their resorption is reduced considerably or even prevented completely and their elimination through the bowel is promoted. As adsorption by humic acids includes not only physical and chemical reactions, but also complex-formation and ion-exchange, it is more intensive and dynamic compared to purely physical adsorbents. Humic acids stimulate the resistance forces of the body and lead to an increase in the phagocytosis activity. 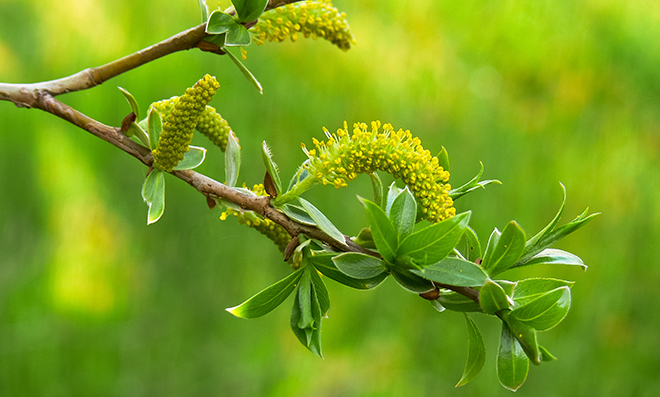 The inducer effect of phenolic components (groups) of humic acids is believed to be responsible for the immunological effects and is the basis for the success of the treatment of the so-called “factor” diseases in young animals. Humic acids stabilize the intestinal flora, thereby ensuring improved utilization of nutrients in foods. This leads to an increase in liveweight of the animal without increasing the amount of feed given to the animal. Prescript-Assist provides 29 strains of beneficial soil based organisms. Probiotic supplement formulas typically do not offer product-specific clinical studies validating their effectiveness. Prescript-Assist™ is different. It is supported by a peer-reviewed, placebo-controlled human clinical trial, and a one-year follow-up study that verifies its long-term efficacy. Below is a summary of major features and benefits provided by Prescript-Assist™. 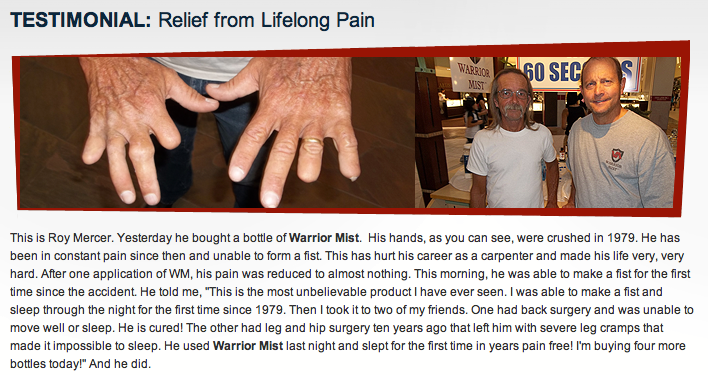 Backed by Sound Science: Supported by peer-reviewed, published clinical studies. Inherent Organism Viability: A matrix of superior, highly resilient microflora whose organic, seed-like structures survive the early GI tract to thrive in the intestines. Contains Bacillus subtilis: A proven probiotic species found in traditional foods. 29 Symbiotic Organisms: A balanced formulation specially selected to mimic the natural flora found in traditional and paleolithic diets. Supported By Prebiotics. Includes Leonardite, a prebiotic mixture of humic and fulvic acids, which allows beneficial bacteria to proliferate and thrive. Gluten-Free, Dairy Free, and Vegan. As a dietary supplement for adults, take 1–2 capsules per day, or as directed by your health care professional. May be taken with or without food. No refrigeration necessary. Store under normal conditions. Routine viability testing confirms greater than 95% viability two years after date of manufacture — without refrigeration. See individual package for expiration dates. We at HPDI always strive to bring our customers the best products and formulas available whether or not we ourselves design and produce them. When the opportunity to carry Prescript-Assist™ arose, we were quick to recognize its many benefits and advantages. 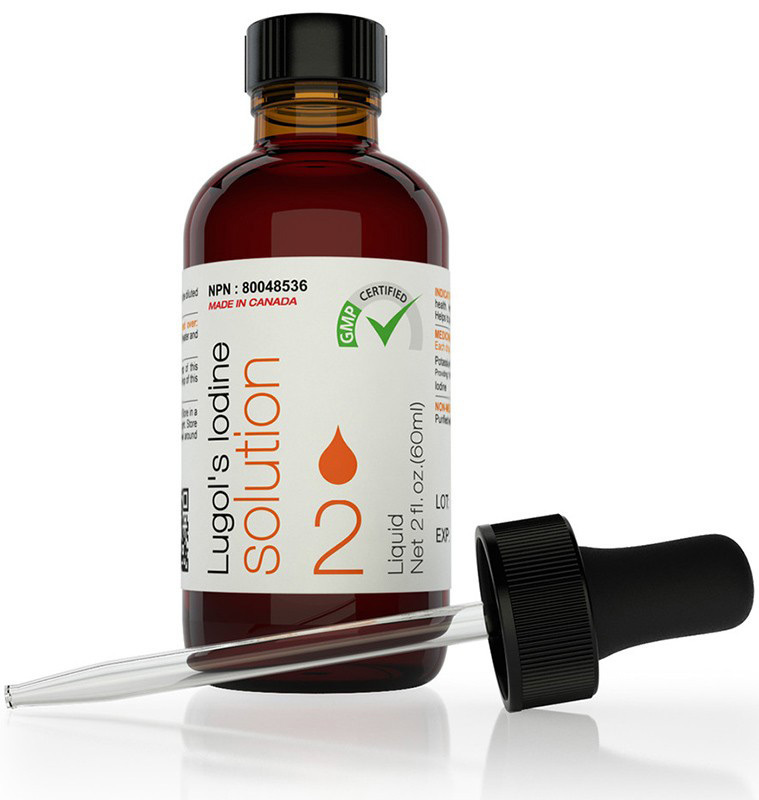 We offer this unique formula knowing that it is safe, effective, and can help improve the health of our customers and their patients. We also know that Prescript-Assist can be used effectively in combination with our other supplements (i.e., HPDI foundational supplements and superfoods), including formulas we design specifically for GI health like Intestinal Rejuvenation Formula. We take Prescript-Assist™ and experience major health benefits. In addition, we personally witness and hear from many individuals (including health care professionals) who have experienced the benefits of the formula. The results reported are excellent. It is more important than ever to utilize our current (and rapidly expanding) knowledge about the human microbiome and its constituents to support optimal health and wellness. Science tells us that the human microbiome historically has been populated by a broad range of soil based organisms. Where we have moved away from nature and traditional agriculture, individuals’ microbiomes can become less vibrant, diverse, and robust. Supplements like Prescript-Assist providing soil based organisms can help bring us closer to having a microbiome more closely resembling our healthy ancestors. Brain Maker: The Power of Gut Microbes to Heal and Protect Your Brain for Life, David Perlmutter, MD.